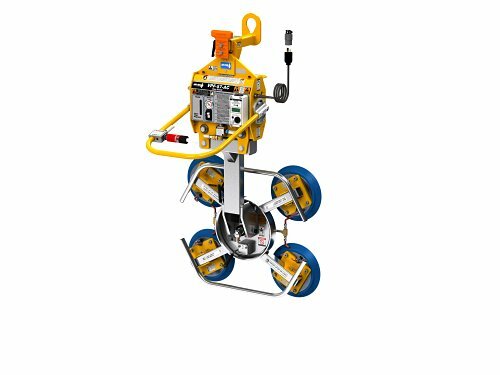 Anver Vacuum Tilters and Upenders are loaded with safety features and have come to set the standard for safe tilting of loads. Each version has been revised over the years to perform better and last longer. The pads, vacuum generators, frame, controls, hardware, filters, safety features and handlebars etc are all new and improved. Every aspect of the lifters has been redesigned and the latest represent the best Tilters available. The standard AMC-Series Compressed Air Powered Vacuum Lifters are designed to significantly reduce the effort of upending heavy loads while providing powerful suction force and 90 degree manual tilt and 360 degree manual rotation capability. 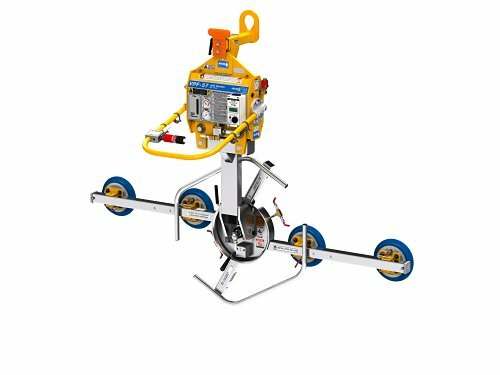 Built with safety in mind, these lifters/tilters are loaded with protective features including: a VLS, 9V battery powered vacuum leakage sensor and warning system; an attach/release slide valve with safety lock. 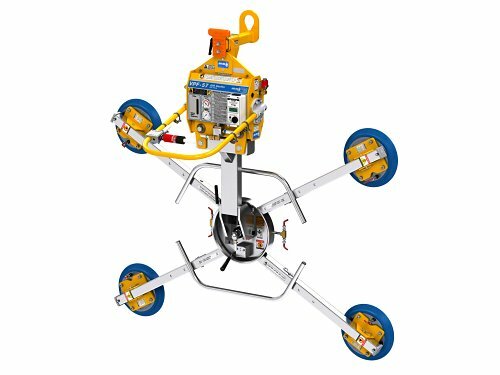 The AMC-Series Lifters/Tilters are capacity rated at a maximum vacuum level of 24 in. Hg (609.6 mm Hg) with a 4:1 safety factor on vacuum holding (unless otherwise specified). AMC-Series lifters come equipped with removeable pad extensions. The vacuum pads can be mounted inline for handling long and narrow loads or without the extensions for handling short and narrow loads. Constructed with an ergonomic lifter handlebar and a welded steel lifting frame, operators can use this equipment with ease and comfort for a wide range of loads and applications. *Load weight and depth affect the final angle that the lifter achieves. Consult ANVER for loads thicker than 1.18 in. (3cm) due to center of gravity offset. The standard EMC-Series Electric Powered Vacuum Lifters are designed to significantly reduce the effort of upending heavy loads while providing powerful suction force and 90 degree manual tilt and 360 degree manual rotation capability. Built with safety in mind, these lifters/tilters are loaded with protective features including: a VLS, 9V battery powered vacuum leakage sensor and warning system; an attach/release slide valve with safety lock. The EMC-Series Lifters/Tilters are capacity rated at a maximum vacuum level of 24 in. Hg (609.6 mm Hg) with a 4:1 safety factor on vacuum holding (unless otherwise specified). EMC-Series lifters come equipped with removeable pad extensions. 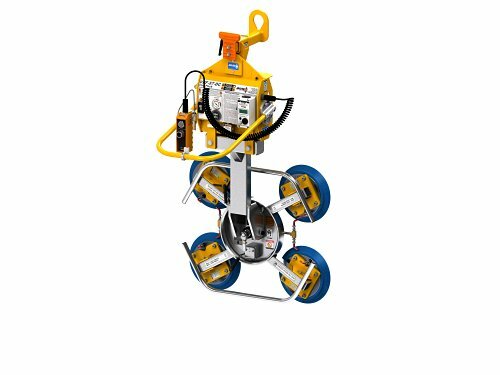 The vacuum pads can be mounted inline for handling long and narrow loads or without the extensions for handling short and narrow loads. Constructed with an ergonomic lifter handlebar and a welded steel lifting frame, operators can use this equipment with ease and comfort for a wide range of loads and applications. The standard BMC-Series Battery Powered Vacuum Lifters are designed to significantly reduce the effort of upending heavy loads while providing powerful suction force and 90 degree manual tilt and 360 degree manual rotation capability. 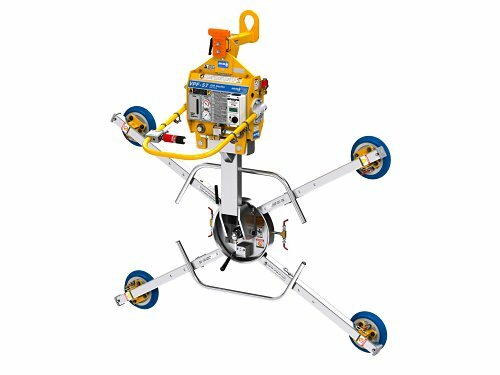 Built with safety in mind, these lifters/tilters are loaded with protective features including: a VLS, 9V battery powered vacuum leakage sensor and warning system; an attach/release slide valve with safety lock. 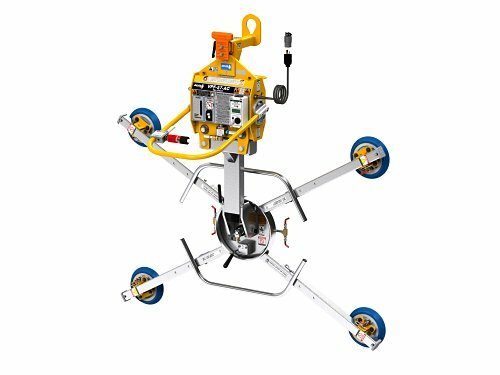 The BMC-Series Lifters/Tilters are capacity rated at a maximum vacuum level of 24 in. Hg (609.6 mm Hg) with a 4:1 safety factor on vacuum holding (unless otherwise specified). BMC-Series lifters come equipped with removeable pad extensions. 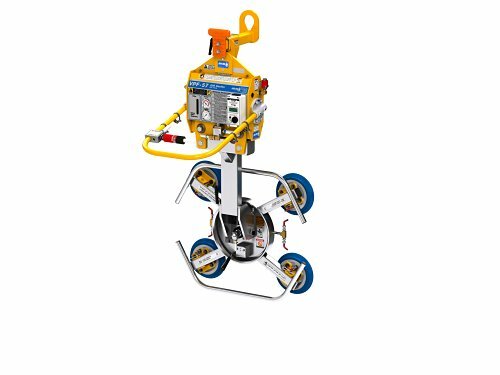 The vacuum pads can be mounted inline for handling long and narrow loads or without the extensions for handling short and narrow loads. Constructed with an ergonomic lifter handlebar and a welded steel lifting frame, operators can use this equipment with ease and comfort for a wide range of loads and applications. 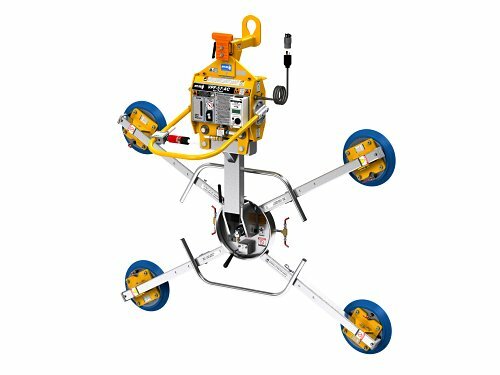 ANVER offers electric and air powered vacuum lifters with manual 90 degree tilting capabilities for easy one-person manipulation, and available in lifting capacities up to 60,000 lb (26,600 kg) or more depending on your application needs. 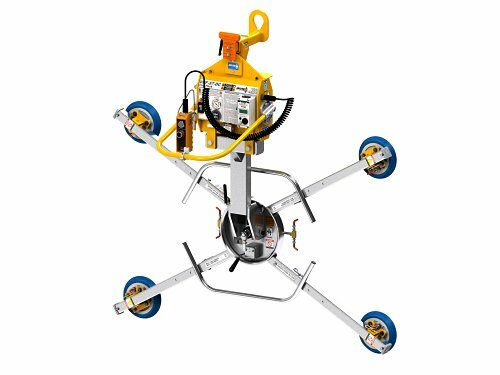 ANVER is ready to assist you in choosing a vacuum lifter that will meet all of material handling needs. Contact ANVER for more information, or fill out a Lifter Info/Quote Request Form and a Sales Engineer will respond to your request shortly. Click on the photos below for more information about vacuum tilters.